One of the biggest goals this year is to take better care of my skin. Since I'm a combination skin girl, that is easier said then done. 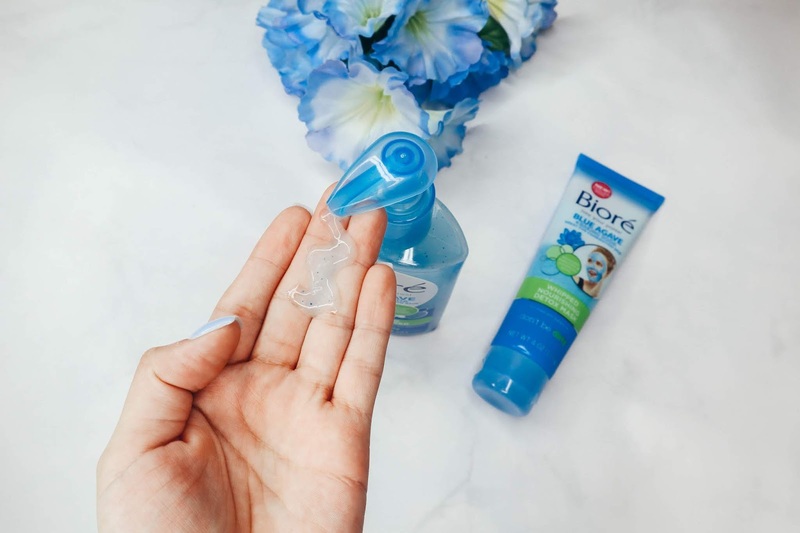 This is why I'm thrilled to be teaming up with one of my favorite drug store skin care brands, Bioré, to test out their latest line that is aimed directly for combination skin. So if you're a little confused as to what combination is, which trust me -- you're not the only one. Most people fall into different skin categories: dry, oily or a combination of both. I am one of those lucky people who has both dry and oily parts on my face. The edges of my face and my cheeks are dryer than the Sahara dessert, while my T-zone can warm up the world with the amount of oil it produces. Obviously, this type of skin isn't easy to take care of and I've tried tons of products. 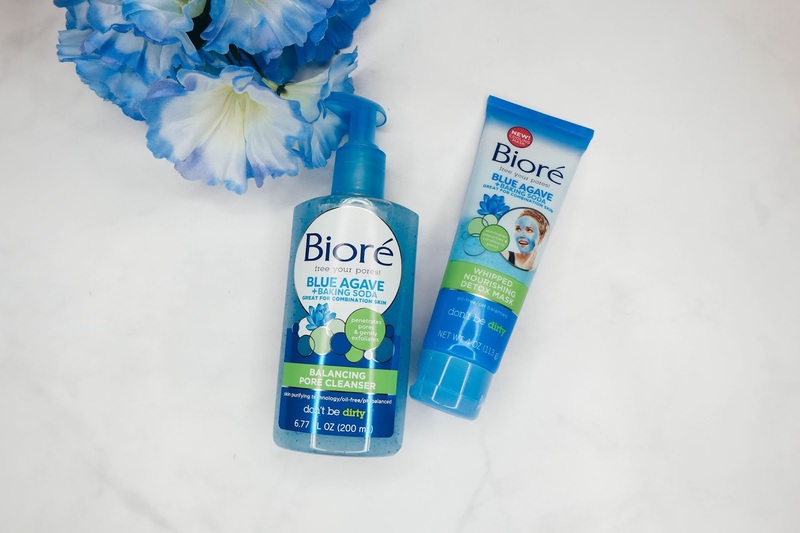 I've loved Bioré since I was a teenager so at first feels, the Bioré Blue Agave and Baking Soda Balancing Pore Cleanser has a liquid consistency with natural jojoba beads to help exfoliate the skin. 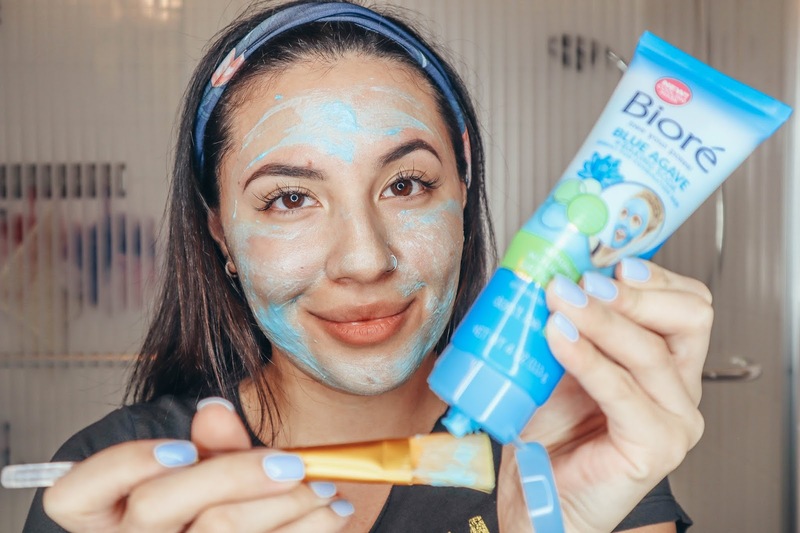 The best way to use this is by wetting your face and then pumping the cleanser between your hands and gently massaging your face. It feels tingly at first, it really gets into those pores to clean. A couple of things I loved about this cleanser is that it's pH balanced, which is super important for someone who has combination skin. It is also oil free, so no oil residue left after you wash it off. Lastly, this cleanser is gentle enough to use on a daily basis. I'll definitely be using this every night to cleanse my pores from my day to day grime. 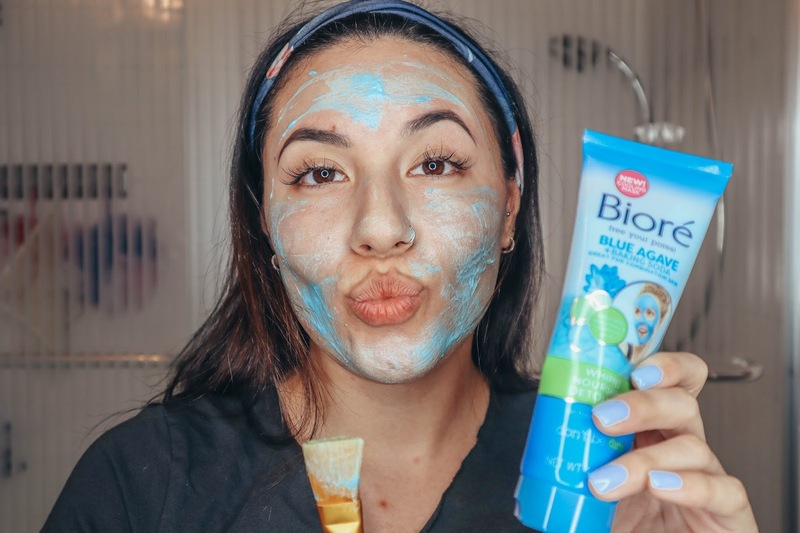 Over all, both these products blue-me away! 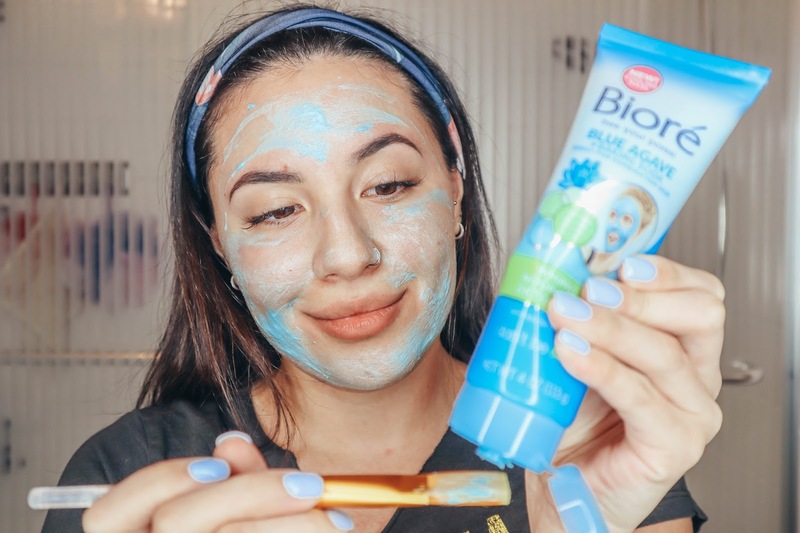 You can really feel all the the ingredients pulling out the impurities out of the pores while also nourishing the skin. 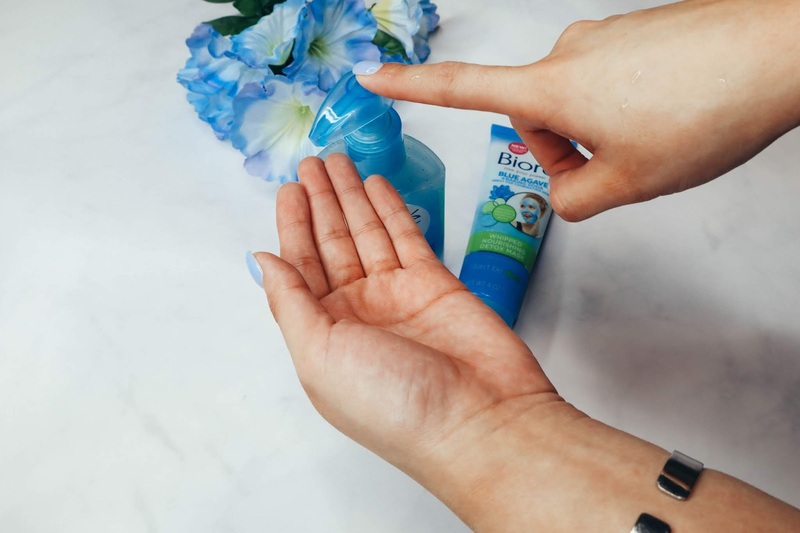 A product perfect for combination skin! You can find both these products at any major retailing store as well as walmart and amazon!